German Colonialism Revisited brings together military historians, art historians, literary scholars, cultural theorists, and linguists to address a range of issues surrounding colonized African, Asian, and Oceanic people’s creative reactions to and interactions with German colonialism. This scholarship sheds new light on local power dynamics; agency; and economic, cultural, and social networks that preceded and, as some now argue, ultimately structured German colonial rule. Going beyond issues of resistance, these essays present colonialism as a shared event from which both the colonized and the colonizers emerged changed. Cover photograph: Missionaries and King Njoya. Nina Berman is Professor and Director of the School of International Letters and Cultures, Arizona State University. Klaus Mühlhahn is Professor of Chinese History and Culture at Freie Universität Berlin. Patrice Nganang is Professor of Literary and Cultural Theory at Stony Brook University, New York. "This valuable multidisciplinary anthology provides 17 chapters about dynamic and creative responses to German colonial rule from the 1820s until the 1990s and includes single-case and comparative studies of former colonies around the world. Drawing on recent scholarship in anthropology, art history, film studies, German studies, history, and literary studies, the collection illuminates colonial discourses by focusing on the experiences, practices, and responses of the colonized… The writing is lively and the arguments cogent. Overall, this is a fresh, new perspective… Highly recommended." 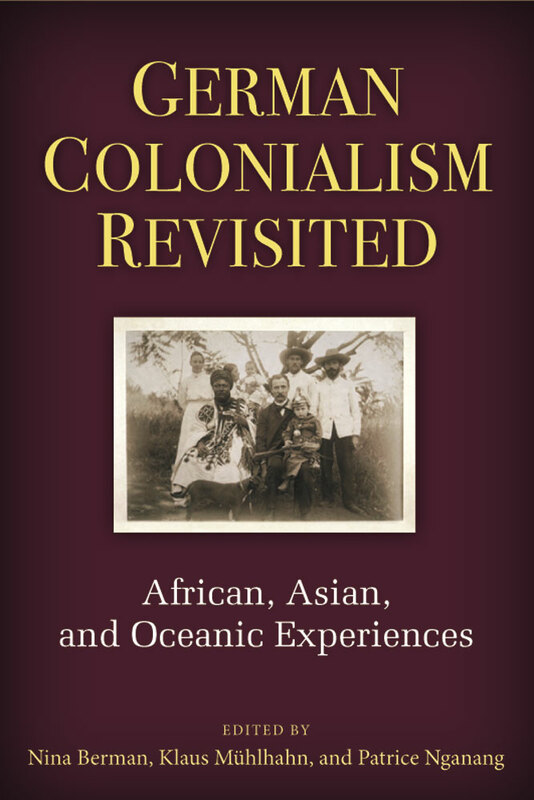 "In their comprehensive introduction, the editors outline their aim: to foreground the kinds of colonial encounters which have 'not received sufficient consideration in scholarship on German colonialism' (2)... the individual essays afford valuable insights into the German colonial period and its repercussions." "[German Colonialism Revisited] shows a wide range of meetings and interactions, illustrated by its diversity that underscores the diversity of the German-colonial experiences." 11 B&W illustrations, 1 fig..